Mobile workforce is a reality that enterprises can neither avoid nor ignore. Whether they like it or not, their employees are bringing their mobile devices to the workplace. Or having devices issues to them by the company. These devices bring with them a varying degree of complexity in device management and many security threats. However, they offer not only potential productivity boost but also technology-driven innovation. To realize these benefits enterprises must tackle the challenges first. That’s why they need a compelling, feature-rich mobile device management tool. 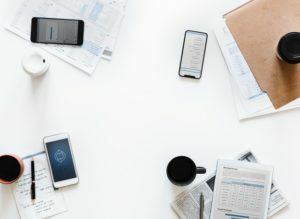 The widespread adoption of enterprise mobility has created a growing market for Mobile Device Management (MDM) solutions. 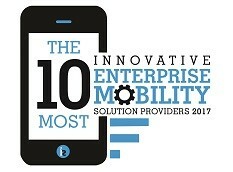 The enterprise mobility market value is set to hit $2.3 billion in 2019. The rapid growth, high demand, and potential lucrativeness of the industry are attracting new players in droves. New products are being launched all the time, while the existing players are adding more powerful features each month. So, how do you choose a product that makes the best sense for your organization? Well, your choice of MDM should be in line with your organization’s requirements. Most MDM solutions of today will likely become obsolete in the near future. It’s impossible to predict the direction in which mobility is headed. Can you predict which devices your employees will be using two years from now? Likewise, several new use cases may arise which you never thought of before. For instance, the feature to change device management policy when the device crosses the state or country borders is something that most enterprises do not know that they need. More often than not, new requirements arise with time. MDMs must be able to manage these challenges and requirements seamlessly. If not, enterprises should be able to switch their MDM tool. This makes the choice of MDM a tactical decision and not a strategic one. In any case, taking some lessons from the existing users can help. This means checking out the tools that your competitors are using. If they can meet their demands (especially the bigger ones), then they will likely meet yours too. The best MDMs must operate as silent partners. Onboarding new devices should be as simple as possible. Policy implementation, enforcing settings, pushing out updates, and device control should be effortless for the admins. If the product is lost or stolen, the process of finding it, wiping it, or locking it remotely should be easy, fast, and effective. The MDM should offer a dashboard console that should give you a complete overview of the vital information. This will help you address the critical areas on priority. Customizability of the dashboard is another essential feature. Data, network, application, and device security are indispensable for an effective Enterprise Mobility Management (EMM) strategy. So, understand how each tool handles the security of devices in detail and whether there are any glaring vulnerabilities. The security features should be easy to implement and work in the background without disrupting the workflows of the employees significantly. Your enterprise’s unique requirements would be very different from those of a business in a different industry. In many industries, workplace aggregation is a fast-evolving feature. MDMs offer the workforce an integrated environment which allows them to switch between desktops and mobile devices effortlessly. As they move from desktop to mobile, their user experience transforms from mouse and keyboard access to touchscreen access. There is a multitude of features that may or may not make sense to your industry. In most cases, you won’t know that your organization needs a function until you see it. So, check the most feature-rich MDM tools in the market and make a list of all the features you need. Analyze all the tools that qualify your shortlist and pick one that offers the best value for your organization. Alternatively, working with a proven Mobility Lifecycle Management (MLM) partner can prove invaluable, as they will not only know how to qualify the correct solution for your needs, but also be able to negotiate better license deals than any individual company can on their own.